Six Democratic Congressmen who chair various committees on Monday sent a letter to Attorney General William Barr formally requesting Special Counsel Mueller's "full report." "Each of our committees is currently engaged in oversight activities that go directly to the President's conduct, his attempts to interfere with federal and congressional investigations, his relations and communications with the Russian government and other foreign powers, and/or other alleged instances of misconduct," the letter reads. According to the Committee Chairmen, Barr's summary is "not sufficient for Congress, as a coequal branch of government, to perform this critical work." 1) They want to see how Barr determined Trump did not obstruct justice, something they say they can't do without all the full report, evidence and other materials. 2) They want to see everything Mueller collected to make sure Barr's assessment was "accurate" (even though we know they'll say his determination was wrong). 3) They want this report handled in the same manner as Hillary Clinton's email scandal and the documents that were released, even though they were redacted. We should call this what it is: it's witch hunt 2.0. 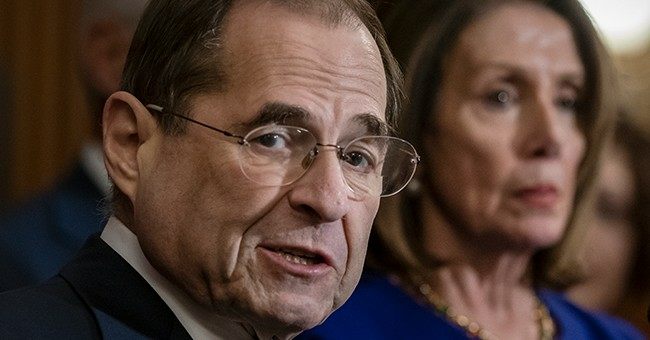 The Democrats want to find anything and everything they possibly can to take down President Trump. They want a full copy of Mueller's report so they can tear it apart and say Barr came to a different conclusion because he covered up for Trump. They're purposely seeking wrongdoing...even if there wasn't any. • Committee on Foreign Affairs Chairman Eliot Engel (D-NY). This group sent a different letter to Barr on Friday, laying out their expectations for the Mueller report. Without coming out and directly saying it, Friday's letter hinted that the Justice Department was covering for President Donald Trump.